This weekend, hubby left me for Ted, (just for the weekend; he's attending the Ted Conference in Denver with Rachel), so I had to find something to do to entertain myself. 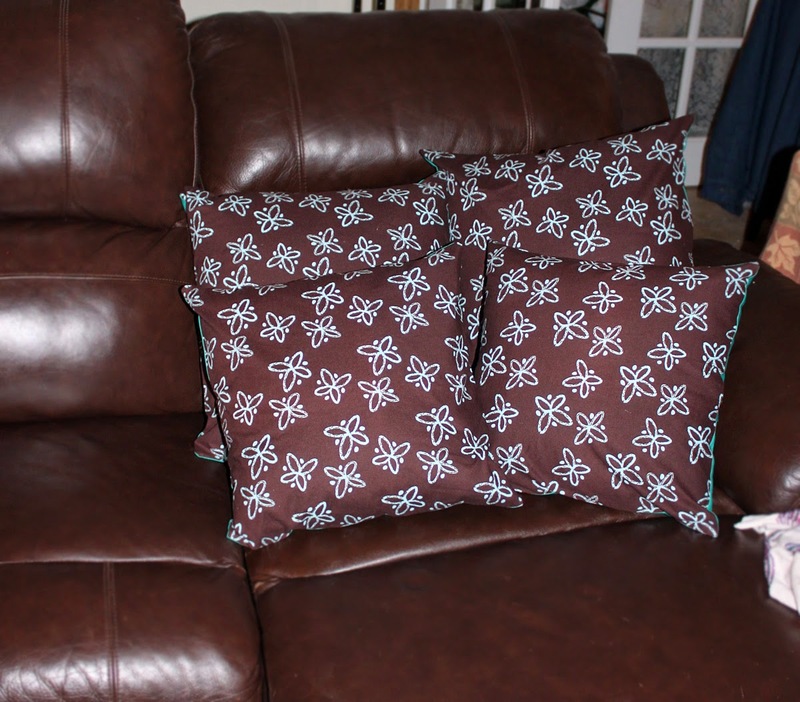 I bought the brown and blue fabrics a year or two ago with the intent of making throw pillows for our teevee couch. But one thing procrastinated into another and . . . yeah, they never got made. Two things conspired to change that. 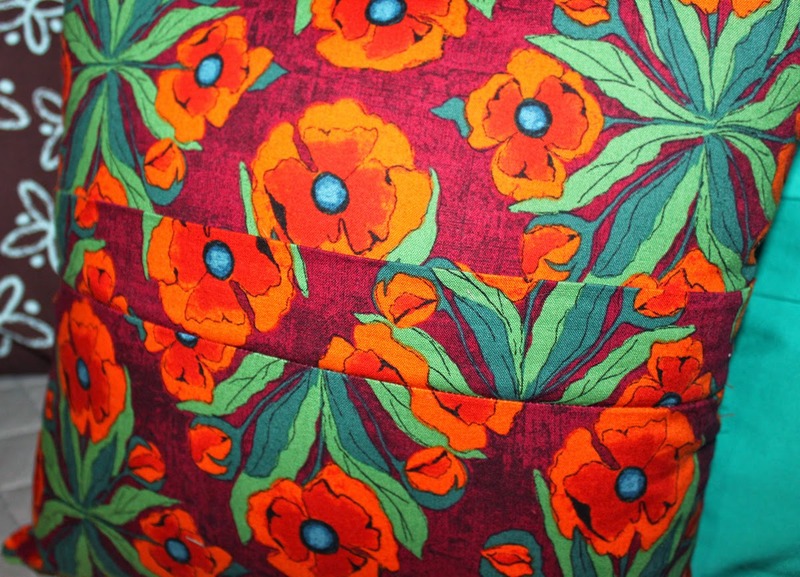 One is the orange flowered fabric, which I love, love, LOVE (it's left over from the backing on Mary's quilt); the second is the Sew Crazy Monthly Challenge. 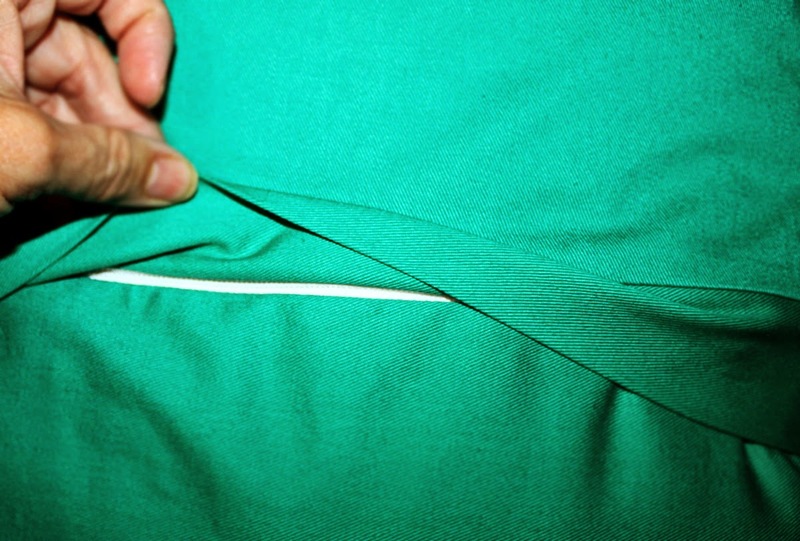 I want to improve my sewing skills and one of the things that still scares bugs me is zippers. 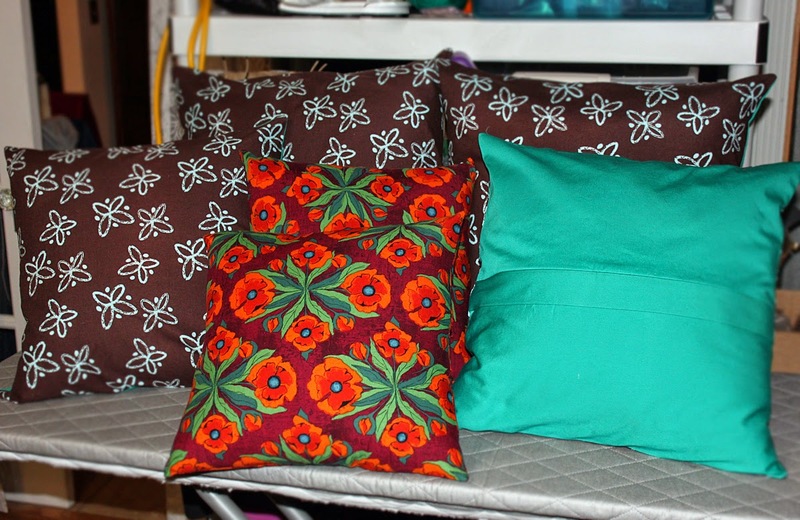 Sooooooo, I challenged myself to put zippers in six pillows. 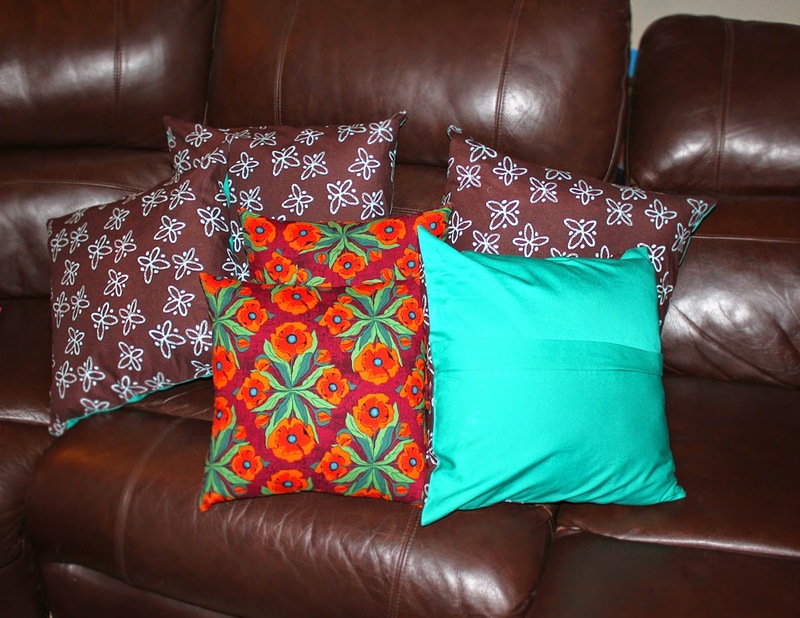 And because I know hubby will drive me crazy worry about the metal zipper tabs damaging the leather couch, I made fabric flaps to hide the zippers (using this tutorial). 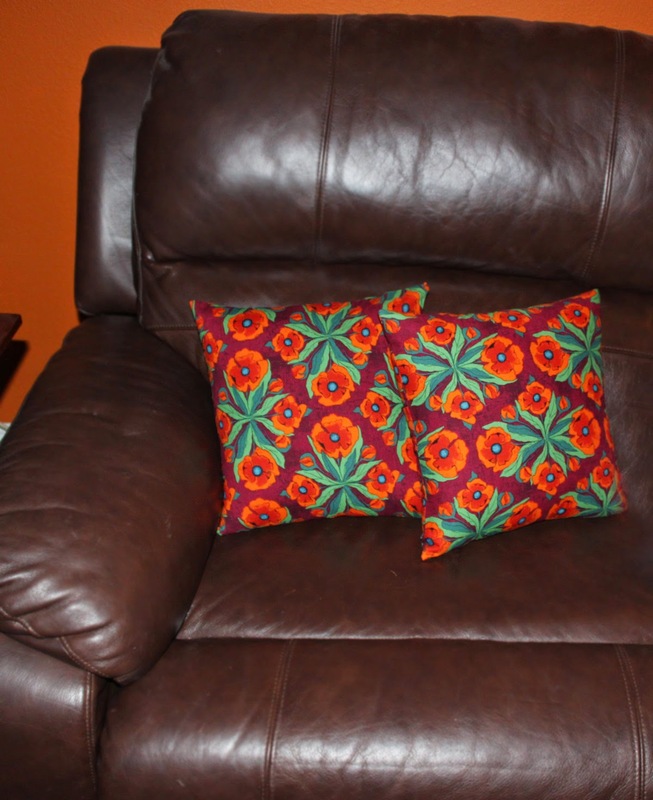 and I have my pillows, all orange and flowery and pretty. Hubby got more, but I love my pillows best.